A. Personal offers are valid until used, or they expire on the date shown on the personal coupon. A. Offers are updated every Wednesday, Friday, and Monday. Visit the site every time you shop to get the most up to date savings available. Your Personal Thank You prices are personalized according to your shopping history and preferences. 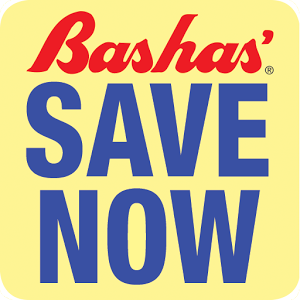 You still have access to Bashas' specials, and you receive the highest available discount on items you purchase most often. At this time offers are only valid at Bashas’ stores within the geographical area. We hope to add Personal Thank You offers at Food City and AJ’s Fine Foods in the future. A. Bashas' will always honor the lower price. A. It will be printed on your receipt at checkout. While we cannot honor specific requests at this time, a future upgrade may offer this option. For the time being, the more you buy of a specific item, the more that item should become available among your personal offers. A. Each card and cardholder will receive their own personal offers based on their own personal purchase history. A. Yes. Most offers expire upon redemption or a stipulated expiration date. A. No, it's a free service. A. No, once an offer is redeemed, the exact same offer cannot be issued again. However, a similar offer may appear in the future. 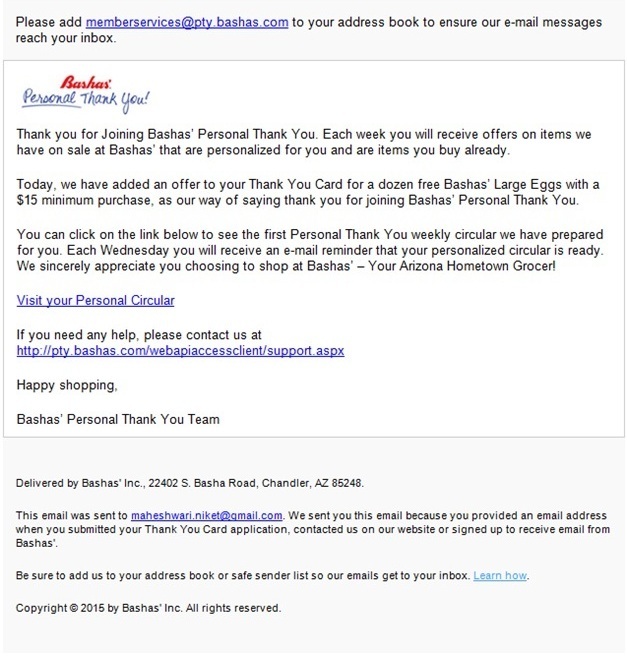 Bashas’ Personal Thank You delivers offers tailored to your own personal purchases, so not all offers are available to all customers. To receive more offers that are relevant to you, make sure you use your Thank You Card for every purchase. If your Thank You Card is linked to your phone number, you can enter your phone number in the keypad at the checkout, or give it to cashier to enter for you. However phone number will not work in self checkout. Yes. iPhone and iPad users can download the Personal Thank You app from iTunes. Android users can download smartphone and tablet apps from Google Play. Search for "Bashas Personal Thank You". A. Yes, but usually the Personal Discount will provide the largest savings. A. These are shown in your shopping list. Once a coupon is redeemed or expired, it will automatically be removed from your shopping list. A. No, you will need to provide the card that has the "activated" offer to the cashier. A. No. There is no limit to the number of offers you can load onto a card. A. In the "my account" section of your Personal Thank You, you can choose which emails you would like to receive or "opt out" of. A. 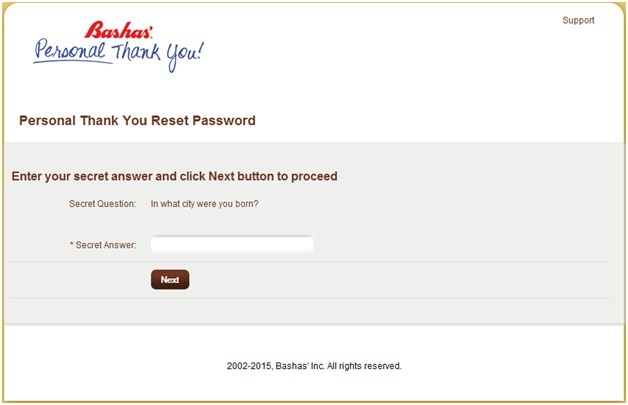 Yes, if you register using the same login credentials as you provided for Bashas.com. A. Please click the "forgot password" link to reset your password. A. Bashas’ Thank You Cards are 12 digits long. Please be sure to enter all 12. These card numbers always start with 4800* or 4900*. Unfortunately, we can’t register with your phone number, as phone numbers change and Thank You Card numbers do not. However, you can link your phone number to your Thank You Card. To do so, please contact Bashas’ Customer Service Department at (800) 755-7292. Perhaps you registered with a different email address. You can update your email address in the "my account" section of your Personal Thank You, but, if you cannot log in, you can change your email address by typing in the address to which we sent the promotional, invitation or information email. A. You can copy and paste the link into your web browser’s address bar. A. Please use the "Support" link in your Personal Thank You, and we’ll investigate the issue you’re experiencing. We’ll be in touch with a solution. There are a few potential causes for this problem, including the use of an incorrectThank You Card number, an invalid email address, or using a phone number rather than a Thank You Card number. We would need more information in order to assist you. Please utilize the "Support" link in your Personal Thank You and we’ll investigate and respond to the issue. This happens when the specific item purchased is not the same as the item listed on the coupon. Please verify you purchased the exact item, including the appropriate size and correct UPC. Perhaps this is because you purchased a similar item rather than the discounted one. All offers specify the appropriate UPC code, as many 'like' items are different in size. If you purchased the correct item, we will validate your receipt and work out an appropriate solution. When an item is redeemed, or a coupon expires prior to redemption, these changes will affect your shopping list. A coupon that is redeemed will automatically be removed. An offer that is expired will be removed from your shopping list, however, if the price of an activated item changes your list will automatically update with the most current offer price and expiration date. You don’t have to print them. All of the coupon offers are digital, so once you activate them by clicking on them, you can redeem them in the store by simply providing your Thank You Card at checkout. This means that your email address has already been registered. If you did not receive a validation email, one will be re-sent to you. If you have already completed your registration, please try to log in. 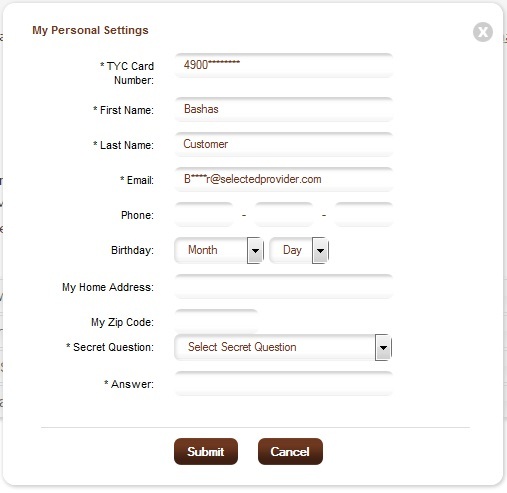 Under "My Account", you can add the correct Thank You Card number as an additional card, or you can submit a Support request to have your TYC updated with the correct card number. A. The Personal Thank You program does not encompass senior discounts. 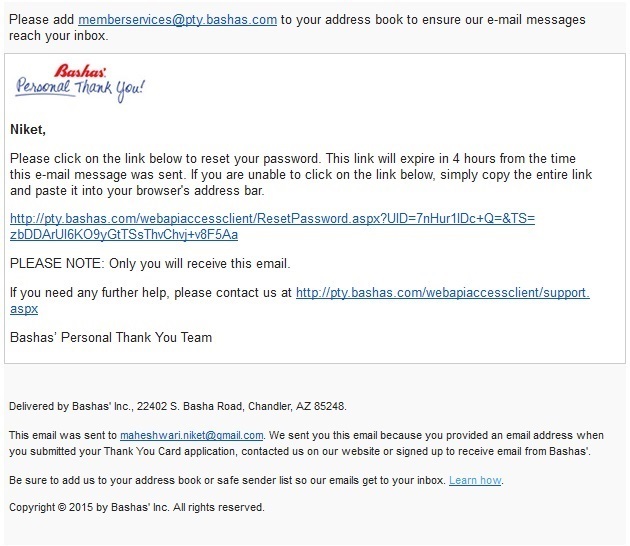 Call Bashas' Customer Service Department at (800) 755-7292. They will be able to assist in making sure your phone number is associated to your Thank You Card. Enter all the information elicited on the form. Hit the Submit button to complete the registration process. You will receive an account activation email. Please follow the instruction in the activation email to activate your account. Once activated you will receive a welcome email and see that your account is confirmed and ready to use. 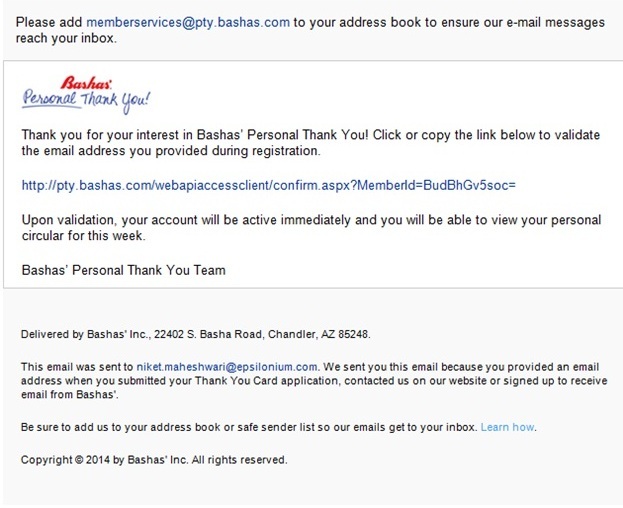 Once the account is confirmed you can login to the Personal Thank You system on following URL pty.bashas.com by using your email address and password that you submitted during registration process. A. Please follow the instruction to retrieve your password. From login page at pty.bashas.com. You will find the Forgot Password Link, click on that link. It will take you on Forgot Password page. Please enter your registered Email and click submit button. You will receive an email with a Reset Password link. Click the link and follow the simple instructions. A. There may be several reasons for not able to login. Please verify have you entered correct email and password to Login the system. May be your account is not activated yet, so Please go the account activation email you received at the time of registration. Please verify have you entered correct email address during registration. 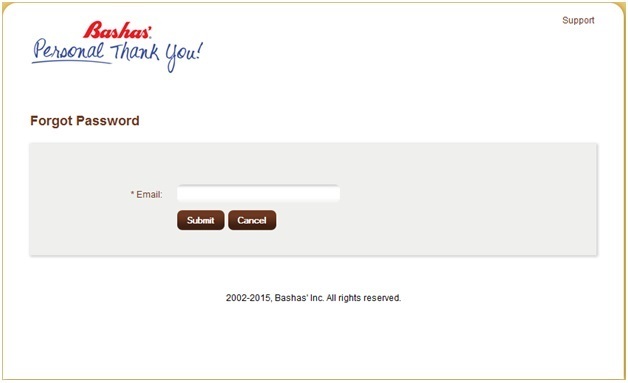 For verification please go to following URL pty.bashas.com and enter your email and password as your login credentials on the page and hit submit. You may have already created your account and forgotten your password? The Thank You Card number you entered may already be registered in the system. The Email address you entered may already be registered. Please utilize the Forgot password link to reset your password. 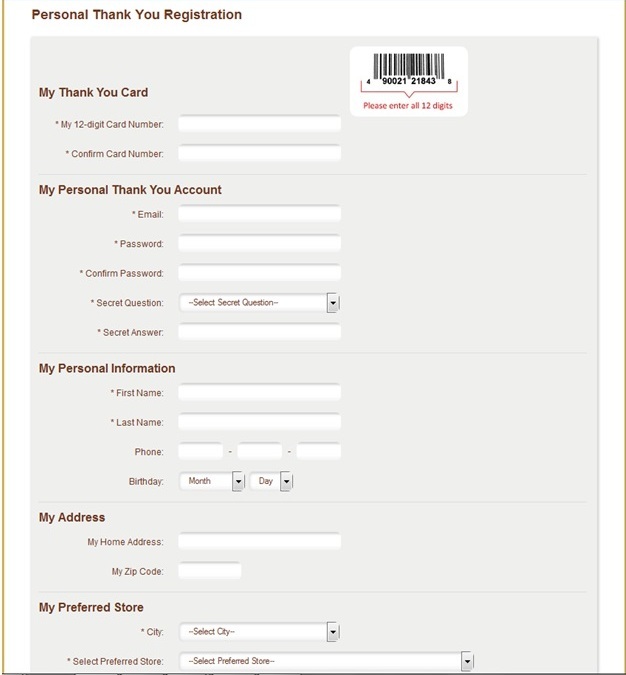 Click on the "My Account" link; here you are able to update your Thank You Card number. Click on the “My Account” link to get to the Account page, where you can update your email address.